1. Cat Ear Headphones with Glowing Blue Lights. 2. Condition: Brand New. Cable Approximately 5 Feet Long. 3. On/Off Switch Located Behind Left “Cat Ear”,Light Modes: Off, On, & Blinking. 4. A Fun, Stylish, and Unique Gift Idea. Over-the-ear cushioning for noise reduction and a secure fit. 5. Enjoy your music privately-or turn on the cat ear speakers to share with friends. 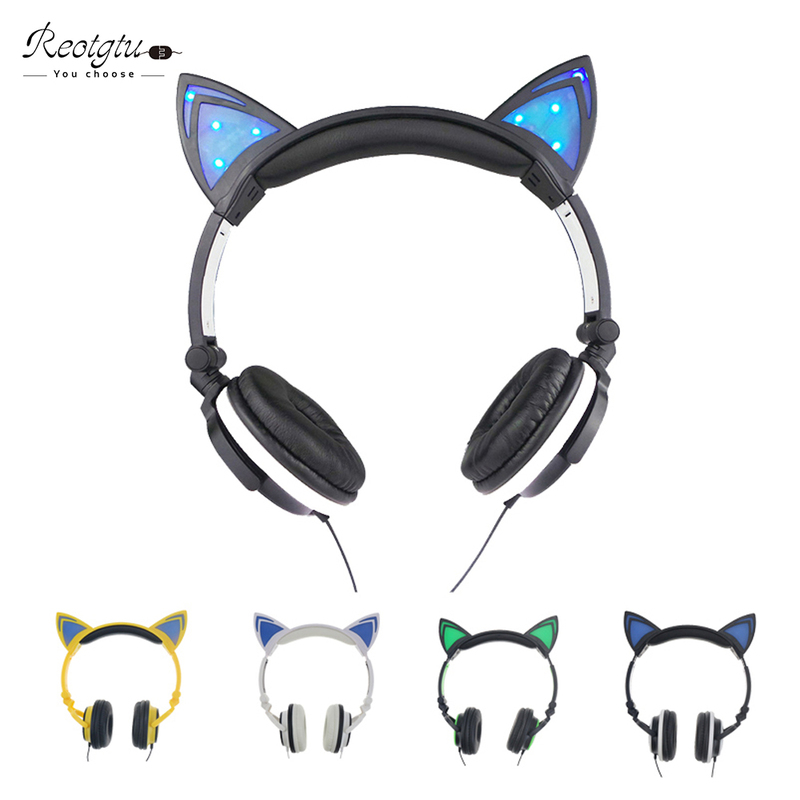 – These fun and unique cat ear headphones will give you the style that you’re looking for, while delivering an amazing audio experience at an affordable price. – The glowing blue lights can be turned on and off with the button behind the left ear. The lights also have a “blinking” mode for extra fun. – These over-the-ear headphones have standard 1/8″ (3.5mm) audio jack.